We had a fabulous trip out to the Mokohinaus yesterday. John and his crew have been on Fishmeister before. Last time we went just to the Hen & Chicks – this time we had beautiful weather so headed straight out to the Mokes. 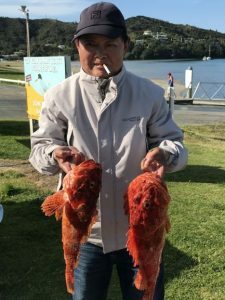 Although some good snapper were there to be caught, the target species of the day were deep water reef fish – particularly grandaddy hapuka. 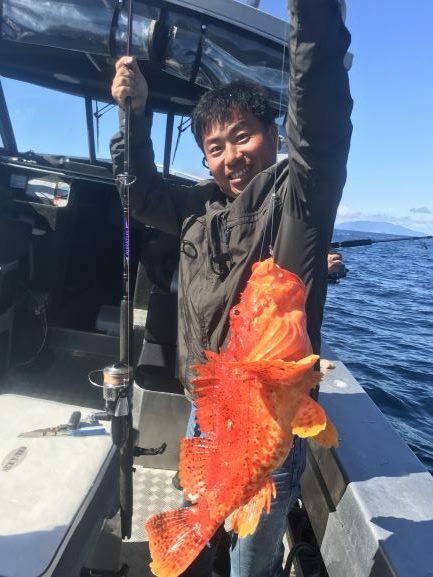 We were treated to an abundance of good size deep water reef fish – check out the photo of the proud angler holding up his grandaddy hapuka! Thanks John – great to have you on board again. Awesome day at the Mokes!